Do you have a pet fish? We have two and my kids are smitten with them! For Pet Week today we are making our own fish. 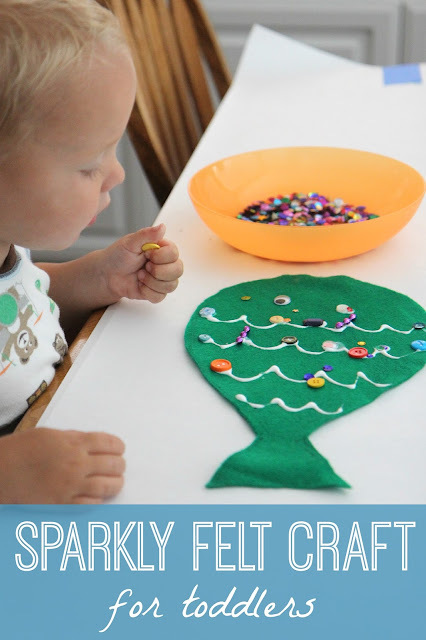 We gathered up just a few simple materials to make a really easy Sparkly Felt Fish Craft! 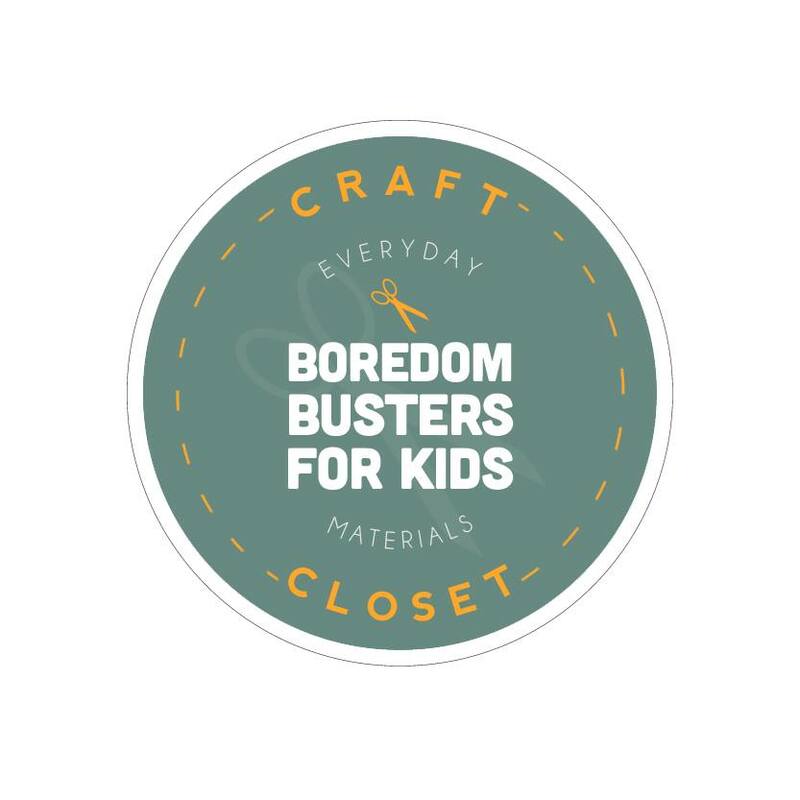 Felt is one of our favorite craft cupboard items to pull out which is why we are including this activity as part of our Craft Closet Boredom Busters series. 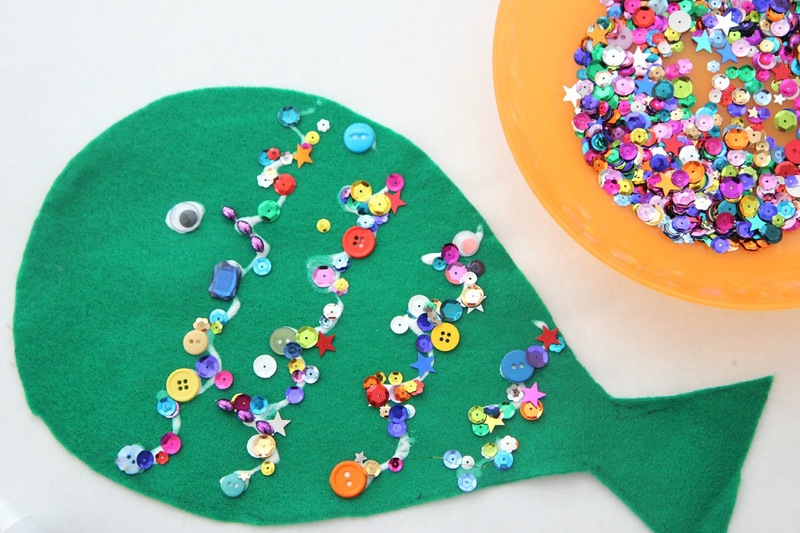 Before you get the kids started on the project, prep ahead the felt by cutting it into a large fish shape (or any other shape that your child would like). 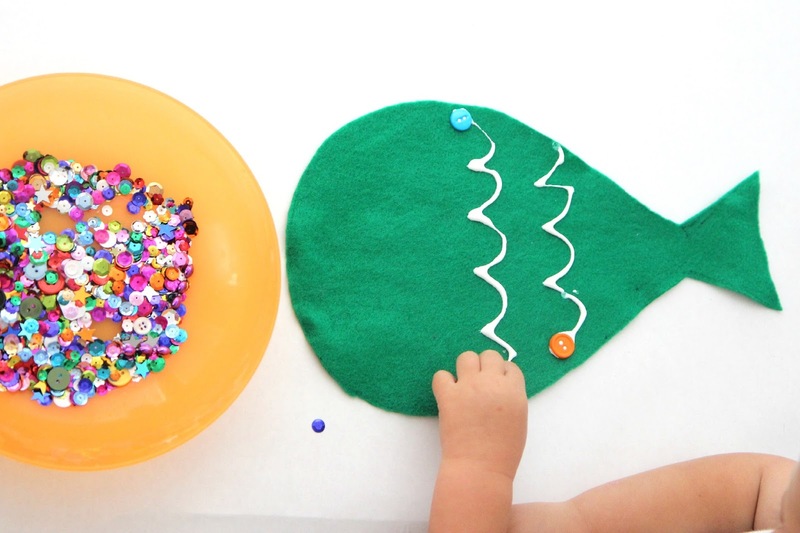 Set out materials for embellishments and tacky glue and you're ready to get started! My preschooler was able to squeeze her own tacky glue (which is thicker than regular white glue) and my toddler needed me to squeeze the glue for him. I like to keep materials out and accessible to my kids. They are used to having out bowls of sequins and other materials. If that is too much for your kids because they might send the whole bowl crashing down, just give them a few materials at a time and have them ask for more as they need them. 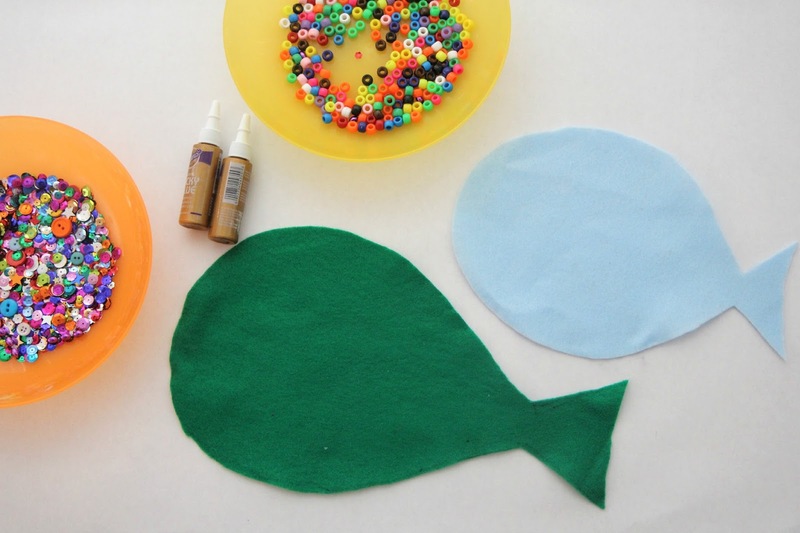 To get started the kids covered their felt in tacky glue and then they started adding embellishments to make their felt fish sparkly! I thought the activity wouldn't last very long but my kids had a different plan. They layered and added items for awhile. The end result was quite amazing and I actually forgot to snap a photo. I will need to do that tomorrow. Picture giant pom poms and buttons and sequins, etc. They had a great time doing this activity! I loved how colorful everything turned out! Have you every created anything with felt for your kiddos? Tell me about it! This post is our third installment in our Craft Closet Boredom Busters series! Today we used felt, yesterday we used paper to make scavenger hunt printables, and on Tuesday we use craft sticks to make puppets. Be sure to stop by the Craft Closet Boredom Busters landing page for the rest of the posts shared this week. 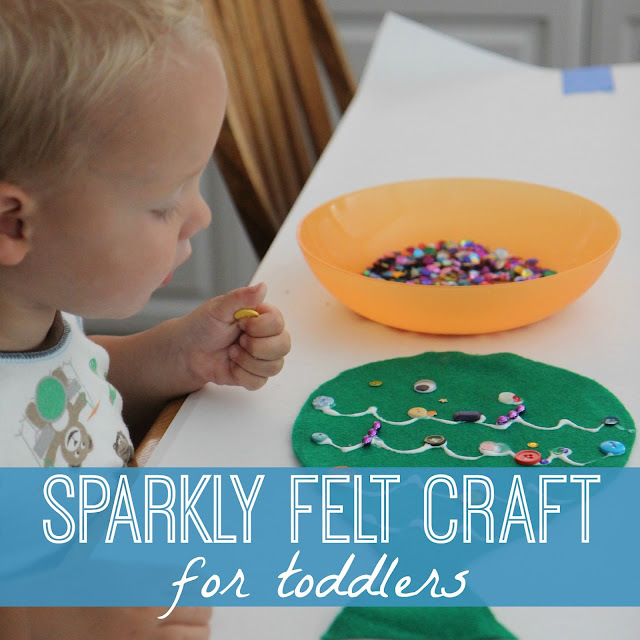 Love this super easy craft. My son and I did it this morning!